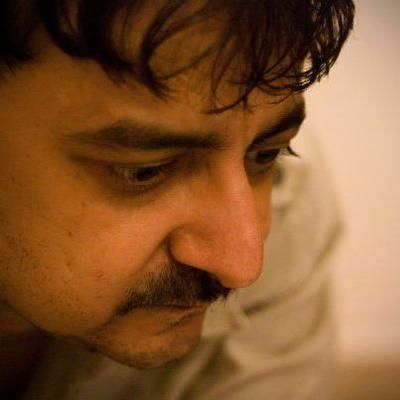 Abhishek Dogra may deny but he has seen Aaj Ki Taaza Khabar and Vinay Pathak's Bheja Fry quite a few times before sitting down to pen the script of his second flick after Dolly Ki Doli, which sank without a trace. But this one won't. FryDay not just marks the awaited comeback of Govinda but raises many laughs. A bit of toilet humour which is not alright, but Dogra manages to salvage his position as director. So yeah, Govinda says 'he wants it once a week at least' and calls his paramour Digangana Survyavanshi (in a totally contrasting role as a gharelu wife in Jalebi) while his wife Prabhleen Sandhu decides to embark on an outstation trip. What next becomes the most important character in the film is the 'Mata Sabko Pyaari Hai' doorbell, which keeps ringing everytime Digangana (she is bored in her marriage with a 50-plus cop) and Govinda are about to register their infidelity. 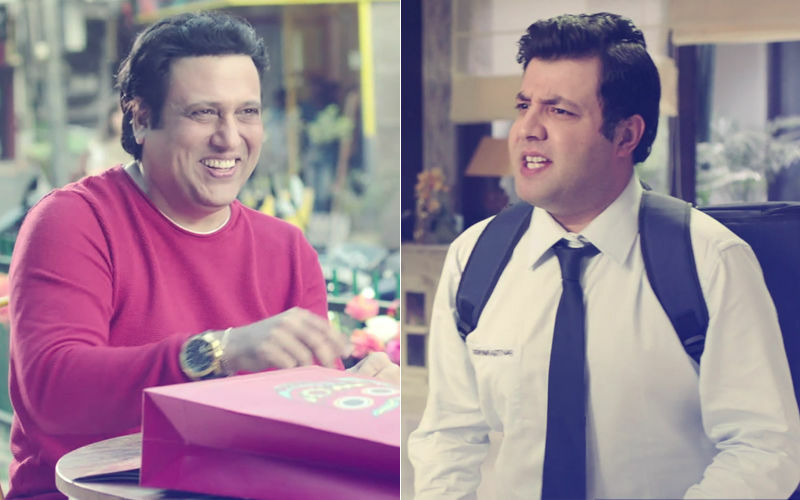 In comes Varun Sharma, the man whose job, girlfriend, sanity, self-respect and even future depends on the sale of just one water purifier on a certain Friday, and then the Friday becomes a FryDay with hundreds of situations which have several funny dialogues- but all don't hit the bull's eye. 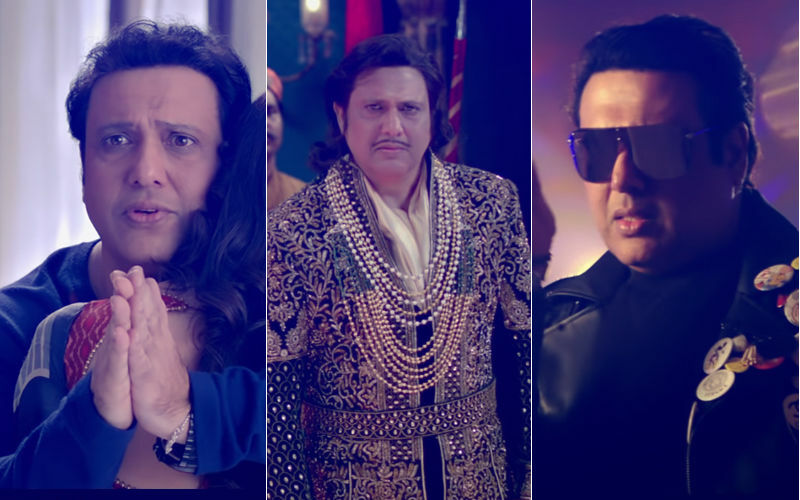 Govinda makes a superb comeback, looks grossly overweight and does not bother about his receding hairline- but concentrates only on his acting (that's what a real actor should). And mind you, he is still a master at his game. 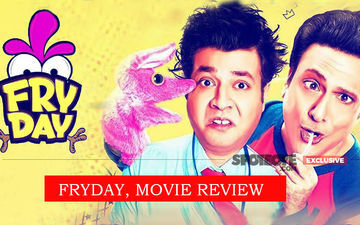 Varun Sharma- he too has put on oodles- looks at ease in most frames but is not flawless. Digangana provides the oomph while the beautiful Prabhleen has been cast well. Govinda's imitation of Sanjeev Kumar, Dev Anand and Shatrughan Sinha brings back memories of Coolie No 1, and the Comedy King takes a fantastic dig at his ownself when he steals lines of his co-actors (which he was accused of, in his hey days) in a certain play to get all the taalis. Another scene that will stay in mind is when he says, 'What Oscar? At least give me a National award first'. Hmmm.... Was all this incorporated by Govinda, Dogra? You won't mind being fried in this one, it's worth a watch if you aren't one of those who spends his/her weekends lamenting on things of the last five days that didn't go in the manner which you wanted them.